RIA Novosti may file multi-million euro lawsuit in connection with opinion poll scandal | Russian Legal Information Agency (RAPSI). MOSCOW, May 23 – RAPSI. Russia’s leading legal experts have observed that those who organized a controversial opinion poll ahead of Turkey's parliamentary election and circulated it in the Turkish media on behalf of RIA Novosti may be sued for millions of euros by the news giant, the Russian Legal Information Agency reported. International pollster RIJA-SAM circulated a survey among 50,000 people ahead of Turkey's parliamentary election on June 12. The results of the opinion poll were published by the German-based Politikcity.de web site, which is known as the largest Turkish on-line forum in Europe. From there, the reports were spread by Turkish media and social networks, including Facebook. The survey was falsely alleged to have been supported and jointly conducted by RIA Novosti. 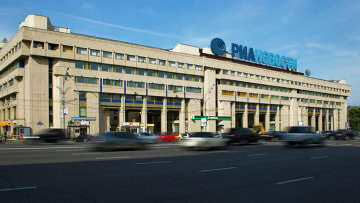 RIA Novosti, however, has denied any involvement in the controversial opinion poll and may file a lawsuit as a result of the pollsters’ illegal use of the RIA brand, in order to protect its business reputation. 12:01 23/05/2011 Russia’s leading legal experts have observed that those who organized a controversial opinion poll ahead of Turkey's parliamentary election and circulated it in the Turkish media on behalf of RIA Novosti may be sued for millions of euros by the news giant.